Index funds weighted by the size of the company are inefficient and expensive to put together, say critics. What about weighting by profits, dividends or revenues instead? Weighting an index by the size of a company should reflect all market participants' views, allowing passive investors to free-ride on the collective wisdom of all active investors. But there is a risk that market cap weighting could also lead a portfolio to overweight the most expensive areas of the market. 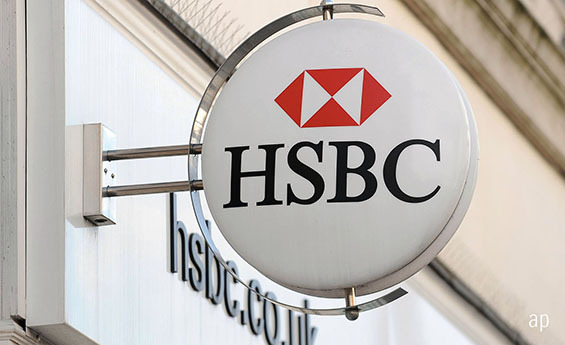 A FTSE 100 tracker, for example, would be heavily weighted towards HSBC (HSBA) and Royal Dutch Shell (RDSB). Market-cap weighted indices are inherently efficient and inexpensive to implement. A passive fund manager has to buy all the shares in the index, which in the case of the FTSE All Share and S&P 500 runs into hundreds of companues. A stock's weight in a market-cap-weighted index moves with its share price. Investors save on transaction costs because the index's largest positions are naturally the biggest companies with the most-liquid shares. Unlike market-cap-weighted indices, fundamental indices size their holdings by metrics such as company revenues, profits, or dividends instead of share prices. Fundamental index funds try to sever the link between a stock's portfolio weight and its price, and are becoming increasingly popular in the US. These metrics are only fundamental in that they're usually ones used by traditional stock-pickers to evaluate companies. But because fundamental indices use the absolute level such as total revenues rather than a price-relative ratio to size positions, they maintain a similar large-cap orientation to market-cap-weighted indices while breaking the link to share price. The largest companies generally have the most revenues/earnings/dividends and receive the largest weights in the index. Fundamental indexing is an intuitive weighting approach, but what does it really bring to the table? Is it Value Investing in Disguise? The main argument against fundamental indexing is that it is simply a value strategy repackaged as something new. Most of the time when a portfolio deviates from market-cap-weighting, the alternatively weighted portfolio increases the weights of smaller-cap stocks and decreases the weights of larger-cap stocks. The value tilt inherent to fundamental indexing stems from two sources. First, by weighting its holdings by a fundamental metric such as revenues, the strategy overweights stocks trading at a lower multiple. Second, when the strategy rebalances, it trims stocks that have increased in price relative to that metric and adds to those names that lagged the market relative to the fundamental metric. While this weighting approach favours value stocks, it has less consistent exposure to value because it does not explicitly target them. Morningstar's Paul Kaplan notes that fundamental indexing implicitly assumes that all companies should trade at the same valuation multiples. Efficient market supporters, who believe that share prices reflect public information about a company, counter that stocks should trade at different multiples based on their risk and growth profiles. Without knowing a stock's fair value or fair valuation multiple beforehand, Kaplan says, it is impossible to conclude in advance that a stock's current market price is too high or low or whether a stock that commands a high valuation is overpriced.